Never loose your luggage again, figure out how much it weighs by just lifting it and know where it is when you're trying to find it on the carosel! There is a brand new smart-suitcase on the market that is the most slick to date and it's cheaper than the one came out in 2014. 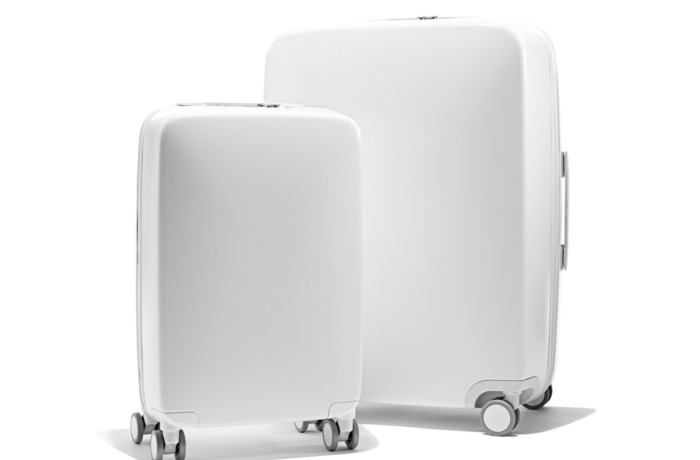 The new brand bag company is RADEN (raden.com) It just launched two new slick bags, a carry-on and a suitcase that will also charge your phone, tell you when your bag is about to come down the carousel via bluetooth alert and details on the TSA wait lines. Founder and CEO Josh Udashkin, 32, realized there was a need for saying there are startups for everything that help make your life better, why not the suitcase! He says he wanted to create a chic, practical tech-assisting empathetic luggage lives. Udashkin worked at Aldo until April 2014. He spent nearly two years developing the bag and bringing it to market. He has the e-commerce store now and is opening a brick and mortar in New York's SoHo district. He hired experts in marketing and product development from TUMI to consult. The suitcase was conceptualized by Beats by Dre and Bonobos. The money came from raising $3.5 million from First Round Capital, Lerer Hippeau Ventures and style maven Rachel Zoe. The bag is made out of durable Makrolon polycarbonate. It weighs only 7.5 pounds. There is removable compact battery inside with two ports that are accessible from the outside. The battery averages about five full phone charges. The bag comes in two sizes - a 22-inch carry-on and a 28-inch check-in. RADEN also has a companion app to access features, including - you can order an Uber with it. The 22 inch is $ 299.00 USD. The 28-inch which weighs 11.2 pounds when empty, and costs $395. RADEN also sells them together for $595 Both come in seven colors and have a TSA-approved lock, a telescoping handle, and four double-spinner wheels. RADEN cases are super light and incredibly strong, gliding smoothly across airport terminals and city sidewalks. This is not the first bag of this kind but it is the cheapest. There is one more. Competitor Bluesmart launched the same kind of startup in 2014. It shipped 10,000 in August 2015 but the cost was $399.00 USD. Bluesmart has many of the same features but Bluesmart only comes in the smaller size and in one color.